Real estate investment trust Ventas has agreed to restructure its Brookdale Senior Living leases “to give Brookdale support and stability while it executes its operational turnaround under its new team,” Ventas Chairman and CEO Debra Cafaro said Friday on the REIT’s first-quarter earnings call. Specifically, Chicago-based Ventas will combine the leases for all of the 128 Brookdale communities it owns into one master lease and extend the lease for eight years. “We killed a lot of brain cells over coming up with what we thought was the optimal solution for both Brookdale and Ventas shareholders,” Cafaro said. The Brookdale properties represent eight percent of Ventas’ annual net operating income and generate approximately $180 million in annual cash rent, Cafaro said. Brookdale operates the communities, with a total of 10,567 units, under triple-net leases. Under the terms of the agreement, the CEO said, Ventas will provide a total of approximately $48 million in rent credits over eight years to the country’s largest senior living operator, which is based in Brentwood, TN. The lease has been extended to Dec. 31, 2025, “when the senior population will be very, very robust, and the demand will be extremely great,” Cafaro said. Brookdale retains two 10-year extension options. The agreement also allows Ventas to sell up to 15% of the Brookdale properties to diversify and improve the quality of its portfolio or reduce leased assets. Ventas would receive all of the net sale proceeds and Brookdale would receive a 6.25% rent credit for any sales. “We have jointly identified a pool of assets that we think would be a good group of assets to sell that would improve the portfolio performance and quality,” Cafaro said, adding that final details have not been determined. Brookdale will continue to be responsible for capital expenditures at the leased communities, and “Ventas will work with Brookdale to consider whether it’s appropriate to invest additional capital to improve the market positioning and performance of the assets,” she said. Under the new lease, Cafaro added, Brookdale’s minimum capital expenditure requirement is approximately $1,000 a unit per year. Despite any brain cells that may have been affected during the restructuring process, Brookdale and one of its shareholders expressed satisfaction with the outcome. Baier became CEO at the end of February as Brookdale concluded a strategic review during which it rejected a bid to be acquired and instead decided to proceed as a public company with new leadership. Stamford, CT-based Brookdale shareholder Land & Buildings Investment Management, which on more than one occasion has expressed displeasure with the company’s actions, said it was “thrilled” with the restructuring agreement. Also during the call, Ventas Executive Vice President and Chief Financial Officer Robert Probst said that Eclipse Senior Living has improved occupancy by more than 100 basis points since assuming management, via contract, of 76 senior living communities owned by Ventas in January. Most of the communities were operated by Elmcroft Senior Living, and ESL continues to operate them under that name. ESL is led by Kai Hsiao, a former CEO of Holiday Retirement. Ventas formerly had planned to put approximately one-fourth of the properties into a joint venture, but for now the REIT is keeping all of the assets. 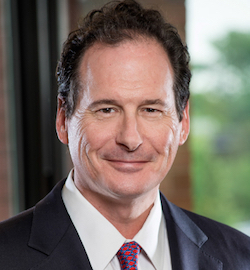 Ventas continues to see net operating income growth in markets that are “traditional strongholds” for the REIT, Probst said, citing Los Angeles, San Francisco, Boston and Ontario. “This strength was mitigated by net operating income declines in markets affected by new competition, most notably Atlanta, Dallas, Chicago and a number of secondary markets,” he added. Ventas, however, is noticing fewer construction starts in its trade areas, Probst said, with a 50% sequential decline in first-quarter 2018 starts compared with the fourth quarter of 2017.